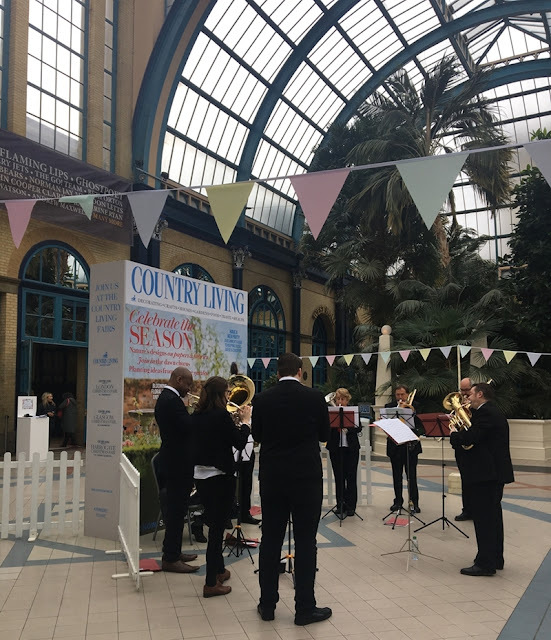 The wedding season is getting into full swing and we were delighted to get these photos of our bunting at a recent wedding a few weeks ago. The wedding reception was held in a marquee and as you can see, it was beautifully decorated. 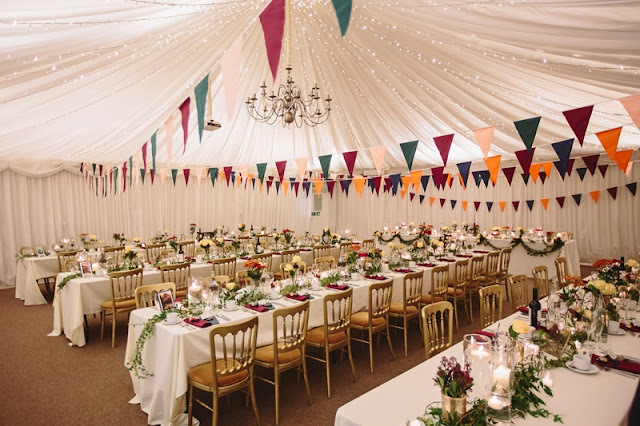 The bespoke bunting in this marquee was our pick your colours two ply fabric bunting. There were two different sets of 3 colour bunting made up in custom lengths to fit the venue requirements. The pennant size was also made extra long to order with the flags being approx. 1 foot long (30 cm) which gives a very pleasing effect. 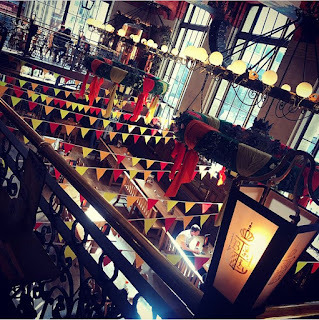 We were delighted to make up bunting for the Bavaria Brauhaus Beer Hall at 30 Bothwell Street in Glasgow recently. Bavaria Brauhaus offer live Bavarian-style music, delicious hearty German cuisine as well an outstanding range of German beers all under one grand roof delivering a truly authentic Bavarian experience. The bunting was to celebrate their spring beer festival which is running from Friday 20th April - Saturday 5th May. As you can see from the photos, the Beer Hall is a very impressive venue, we especially love the decorated ceiling. An added bonus when looking up, of course, is seeing our bunting hanging is such a lovely building. We wish the Bavaria Brauhaus a successful Spring Beer Festival and many more beer festivals to come. 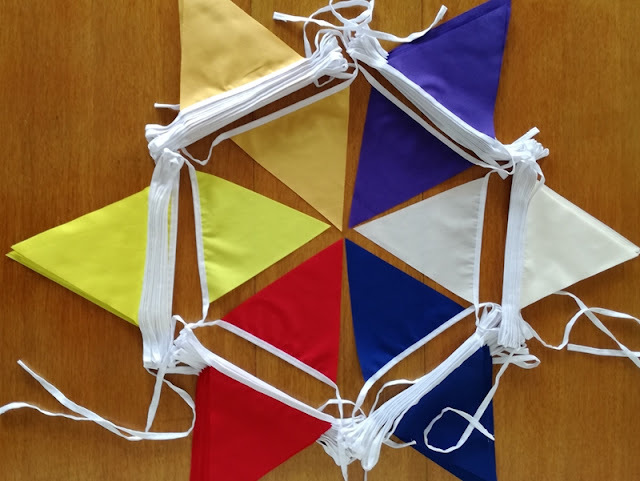 With our pick your colours bunting you are able to choose your colours to match your requirements, it can be one colour, two colours, three colours or even more, you can also choose between single and double thickness flags. 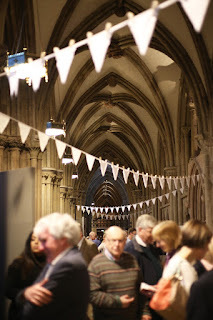 Our white 1 ply fabric bunting is currently on display at the Lichfield Cathedral Consequences of War Exhibition. It looks very impressive in this setting! Photos credit © Consequence of War exhibition, Lichfield Cathedral.